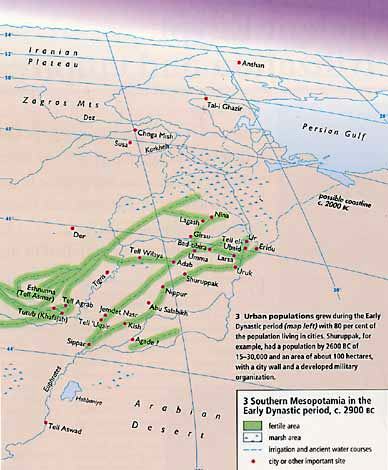 Urban populations grew during the Early Dynastic period with 80% of the population living in cities. 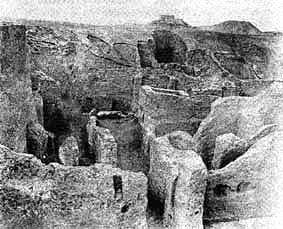 Shuruppak, for example, had a population by 2600 BC of 15-30,000 and an area of about 100 hectares, with a city wall and a developed military organization. A scene from the Nippur Excavations: Rooms of the Temple "Tablet House"